Chip is a trial lawyer who represents injured people and those facing criminal charges. 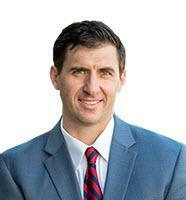 Chip has extensive experience as a litigator and advocate in both civil and criminal courts. He is a former assistant solicitor in the 9th Judicial Circuit Solicitor's Office, serving the citizens of Berkeley County in South Carolina. Prior to prosecuting, Chip worked for one of South Carolina's largest insurance defense firms. Chip has successfully litigated numerous jury trials as a prosecutor, a criminal defense attorney, and advocate for the injured. Before law school, Chip realized his childhood dreams of playing professional baseball. Having been drafted by the Toronto Blue Jays, he spent six years in the minor leagues culminating with being named MVP of the Arizona Fall League. After being struck down by a series of injuries, he left the game realizing that dedication and a strong work ethic had paved the way for his success on the diamond. He took that mindset with him and implemented it into his next career. Chip began his legal career representing large insurance companies in personal injury and construction defect cases. His practice focused primarily on defending and mitigating damages on behalf of insurance carriers in numerous counties around the state. Some of these lawsuits involved claims for millions of dollars, where Chip was able to obtain defense verdicts and/or minimal recoveries at trial. Representing large insurance companies allowed Chip to learn the behind the scenes "claims adjusting practice" which he exploits for his injured clients today. Chip represents clients who have been injured due to someone else's negligence, including those who have been injured in car accidents, trucking accidents, premises liability actions, dram shop actions, slip and falls, products liability cases, dog bites, and medical malpractice. As a prosecutor, Chip tried numerous cases including: driving under the influence (DUI), drug trafficking, criminal domestic violence (CDV), assault and battery, armed robbery, and several types of death cases. He also resolved hundreds of cases by plea negotiations resulting in sentences ranging from probation to significant prison time. Today, as a criminal defense attorney, Chip uses that experience as a former prosecutor to assist those who stand accused through the criminal justice system. At times being a criminal defendant can make one feel overwhelmed, scared, and helpless. Chip provides a sense of stability to criminal defendants about the uncertainty which they may face with regard to the specific charges he formerly prosecuted. Chip is licensed to practice in all South Carolina state and federal courts. He is a member of the South Carolina Bar, the Charleston County Bar Association, and the Berkeley County Bar association where he serves as a board member. He is admitted to practice in the U.S. States District Court for the District of South Carolina and an active member in the South Carolina Association of Justice "SCAJ" (formerly "South Carolina Trial Lawyers"), and in The Citadel Alumni Association (Go Bulldogs). Chip and his beautiful wife, Megan, have two boys, Skip and Reynolds. Chip's legal practice is guided upon his strong Christian morals, family first mentality, and helping those who are in need of a voice while they actively pursue justice.